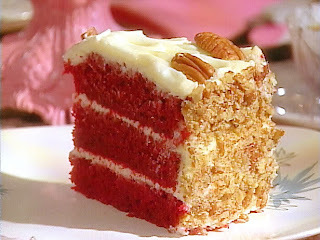 I grew up in Connecticut so never heard of Red Velvet Cake until there were several threads on chowhound.com. This image looks so enticing that I might make it for Christmas -- if I can tear myself away from my Austrian family's choclate walnut torte. My late father's birthday was on 12/24, and it was his favorite, so it's our particular tradition.